Oceanfront at its best! 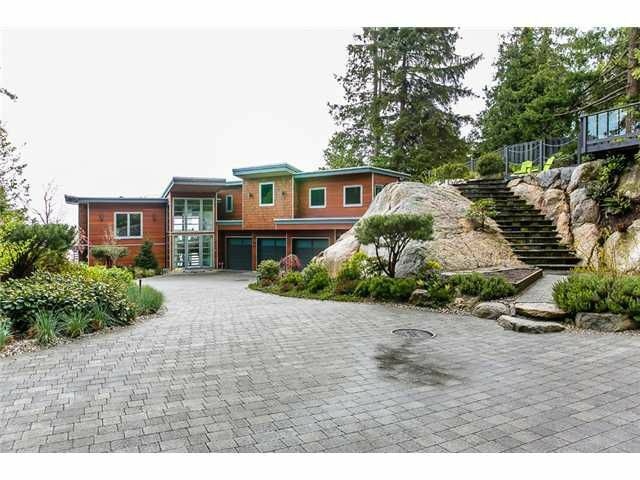 Unprecedented quality, style & design in this West Coast Contemporary located on .7 acre waterfront property. Appreciate the functional integrity & the attention to detail from the minute you enter the gates of this Luxury Estate. Designed for fun, family & friends with over 5000 sq. ft., 2 levels of indoor living space adjoining 2000 sq. ft of outdoor covered patios, plus patios & inground pool & hot tub. Glass, metal, stone & wood are incorporated throughout this astonishing home where ceilings rise to a height of 23' All principal rooms overlook the waterfront. Exquisite main level master suite w/ access to pool, hot tub/patios & features cheery wood vineer feature wall, spa bathroom fixtures & separate dressing room. 4 guest bedrooms host king size beds. Elevator. Your home office hovers over the ocean. 2 bdrm guest suite. An affordable waterfront lifestyle @ the Sunshine Coast with all amenities of Roberts Creek, Wilson Creek and Sechelt. Incredible value!